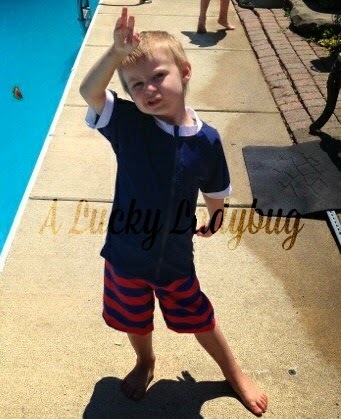 Finding my boys a swimsuit that they love can be really hard to do since there just don't seem to be as many brands/designs geared towards handsome little men! It's especially hard to find something that helps cover them up and protect them from the sun! So when I found SwimZip, I was super excited. 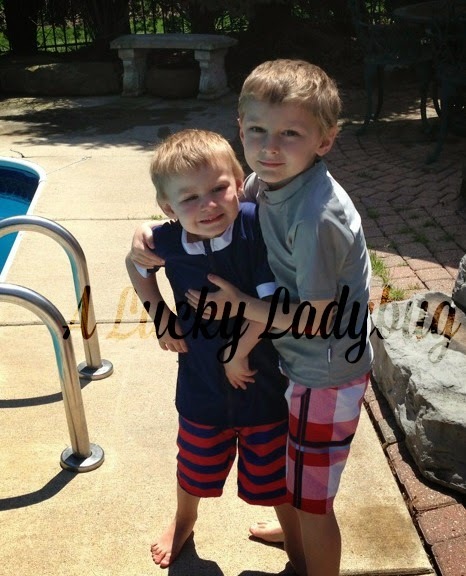 Not only do they have cute suits that both boys actually liked and but the suits are even UV protective. "Being diagnosed with skin cancer at just 26 years of age, Betsy Johnson decided to make an impact where it counted most. 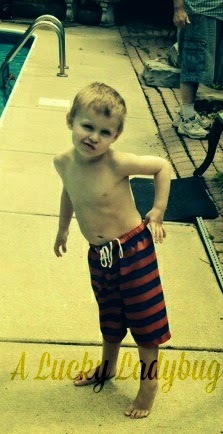 SwimZip is the UPF 50+ clothing brand people trust to keep themselves and their children sun safe." They have come out with several lines of clothing made up of UV 50+ swimwear for children and adults. My boys never stop....NEVER. So trying to get a tight shirt on and off of them especially when wet is a PAIN in the A$$, so much that I usually just lather them up with sunscreen and go on about my day. Living in this day and age where we now know the effects that the sun has on our bodies, sun protection is extremely important. But for those of us like myself, who are allergic to the chemicals used in the majority of the sunscreens, it becomes difficult. I have to look for special kid friendly (spray) sunscreen that I can put on them so they won't break out in a rash. These suits are made with that all in mind. I have less area that I need to spray with sunscreen and less of a chance of rashes all over the boys and myself as well. Each piece of swimwear is made with a full-length zipper, no tags (Declan hates tags), and chlorine resistant to last a lot longer! 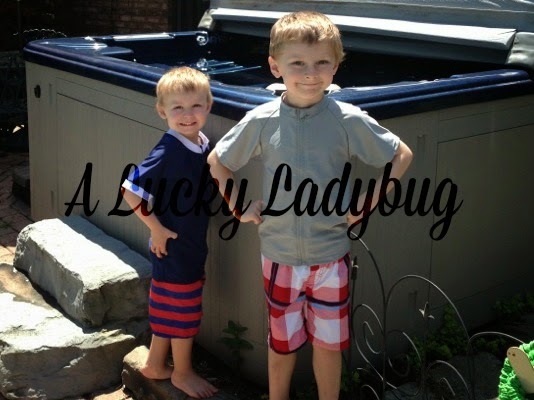 I was sent over the Summer Nights Swimsuit Set and Stud Muffin Sun Shirt Set to review for both of the boys. I even let them pick out their own set so that I knew they would like it and wear it. The boys litterally thought they were stud muffins as they did a runway show for my Mother and sister. I am especially hooked on the fact that these have rash guards since there is nothing worse than a heat rash on a little boys you know what! Now I have to be honest too as I hadn't really showed around too much when picking out their suits, so now that I have I know I definitely want to get one of the coverups for the boys and even probably a few hats! I love that they even make a few swimwear pieces for adults too! With several cancer survivor family members on both sides of our family, I can tell you SwimZip is going to forever have a loyal customer in me! Recommendation: You can;t put a price on protecting your little ones but even so this is a great price for what you are getting! I highly recommend this product to anyone with little kids that either hate having to get sunscreen put on them or those that are allergic to sunscreens like us. This is really a great price for this kind of protection. This company was easy to work with shipping was super fast. 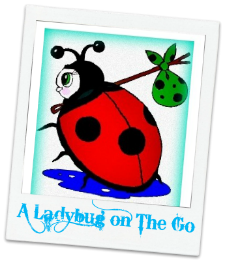 Giveaway: SwimZip is going to give one of A Lucky Ladybug's lucky readers a swimsuit to have of their own! I prefer to go to the beach, I love the ocean! I go through bathing suits so fast I can always use another! The relaxation and fun of swimming all summer is something I look forward to all year!